1.5Tr Hot & cold Split Ac. I have purchased 2 unit of 18HY HC from acmahabazaar portal with best optimum prices and delivery with in 3 days.I happy with acmahabazaar services portal. 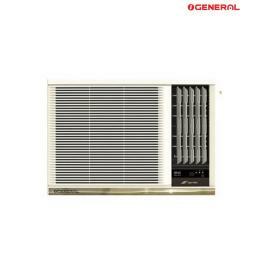 O GENERAL AXGT18AATH Window 1.5 Ton 3 Star Air Conditioner is the perfect window ac to beat the intolerable heat of summer.Â The Air Conditioner comes with features that ensure you stay any time of the year.Â Equipped with features such as anti-bacterial filter, deodorising filter,auto-restart, timer on/off, you can get the ultimate cooling experience. The deodoriser keeps your surroundings healthy while giving you cool or warm air. The Air Conditioner has cooling capacity of 1.5 ton, theTimer On/Off control functionality saves on your electricity bills as you use or switch if off according to your requirement. 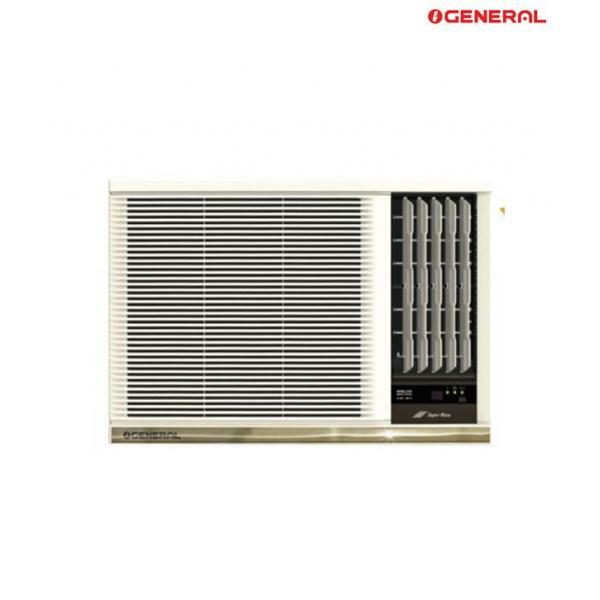 Moreover, the anti-bacterial filter used with this air conditioner ensures that the air you breathe is clean as the antibacterial coating on the mesh filter kills the bacteria in the air that passes through it and inhibits any germ growth.Â It has hyper tropical rotary as the compressor type and you can control temperature with remote control to get the desired temperature. Â It consumes 1800 Watts of power and 8.4 amps of running current. The automatic air direction controlallows you to movethe in any direction you want. Â The auto restart of the airconditioner lets you to sleep undisturbed as it will restart on its own. This product is serviceable in 1717 pin codes in India, please refer to this link for a list of the pin codes. In case your pin code is not part of serviceable pin code list, we will not be able to service your order and hence it will be cancelled and your payment will be refunded as per the site's cancellation/ refund policy. In the unlikely event, you receive a damaged / defective product or a product that is not as per your original order, we will replace the product to your satisfaction at no extra cost. 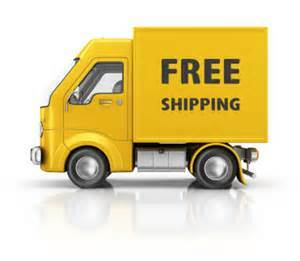 You will need to ensure that we are informed in 48 hours and the product is in UNUSED condition. Please retain original packaging along with the original price tags, labels and invoices for returns. Please retain the invoice for any query, concern or warranty claims. For any further clarifications do get in touch with our friendly customer care folks. Cancellations: We accept cancellation of these orders up to 24 hours of placing the same on the site without any extra charges. In the event of cancellation after 24 hours, a cancellation fee of Rs.1500 will be charged and the balance amount will be refunded to you. 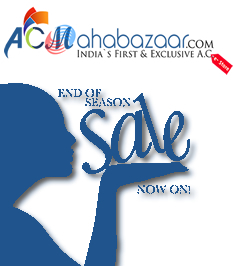 No cancellation requests will be accepted after 48 hours from the date of receipt of order for this item on ACMAHABAZAAR.COM. For just 39900/- Hitachi RAU518KUDB Logicool 1.5 Ton 5 Star Split Air Conditioner could be yours, this amazing piece of machine could bring your room to chilling temperature even at scorching heat outside. With cooling capacity of 18562 BTU/Hr on moderate 1495 watts of power consumption it’s a superb deal. Copyright 2019 Powered by AcMahaBazaar. 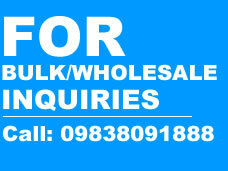 All Rights Reserved Eperipherals Sales and Services Pvt Ltd.